Anthill Inside and The Fifth Elephant go beyond talks and workshops. What’s the fun in attending events if you can’t find your own groups there? This year, Anthill Inside has a few exciting discussions lined up for you to participate. Engage in discussions with like minded people, champion your causes or simply just chat with fellow attendees on the problems you faced and novel solutions implemented. With the advent of AI and consequently the concerns about privacy and data security, companies have been forced to follow standards and frameworks for safeguarding user data. Suchana Seth, Jyoti Pandey and Chris Stuccio will lead a discussion on AI — ethics and privacy. Vijay Gabale, CTO and Co-Founder of Infilect Technologies will lead a discussion on AI and product. Vijay will enunciate on the developments in cloud and hardware platforms for AI and how these newly solved problems can be leveraged to build AI products. If AI, ML and other buzzwords seem too glamorous, Anuj Gupta and Subir Mansukhani will capture the ground realities in AI engineering. Termed Hubs and Spokes of AI, this session will see discussions on data acquisition, training, reusing models and real world deployments. 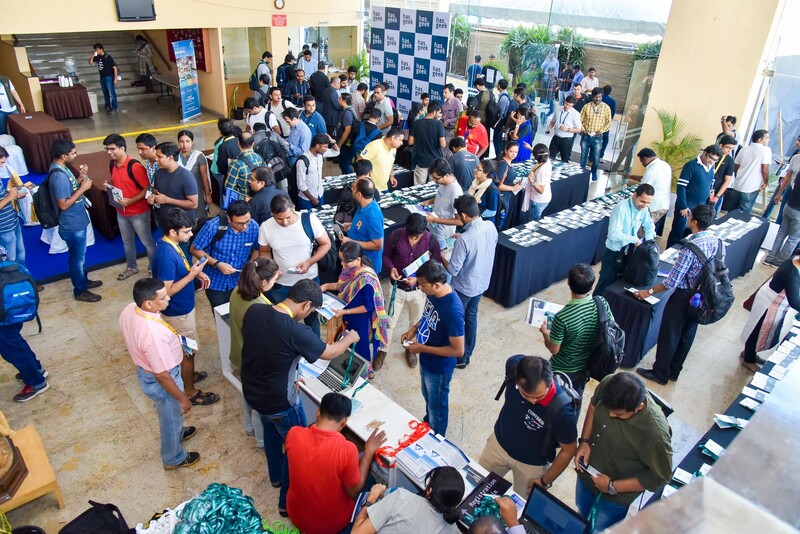 With an interesting mix of talks, discussions, workshops and opportunities to network with the best in the industry, Anthill Inside and The Fifth Elephant this year are power packed to make sure you have the best experience over three days. The folks from Uber Engineering and the Advanced Technology Group (ATG) will be at The Fifth Elephant this year talking about the advancements in developing technologies that create seamless, impactful experiences for customers. The teams use Machine Learning for this process and and have built a ML-as-a-service platform that democratizes machine learning and makes scaling AI easy. Attend Achal Shah’s talk at The Fifth Elephant on Michelangelo: Uber’s machine learning platform. The team has a blog post outlining some of the development process and the rationale behind developing such a tool. If you’re interested in reading more about Michelangelo, check out the post on Uber Engineering’s blog. If you’re attending The Fifth Elephant this year or you’re on the fence about getting tickets, consider checking out our workshops at the conference this year. Learn how to use Amazon SageMaker to build, train and host machine learning models. The participants will learn how to use built-in algorithms to perform complex tasks like image classification or clustering. The workshop will be led by Praveen Jayakumar, Solutions Architect at Amazon India. Get your tickets to The Fifth Elephant to receive the RSVP for this event. Gain an end-to-end view of deep learning based recommendation and learning-to-rank systems using TensorFlow. The workshop will outline the embeddings based approach to build deep learning based hybrid recommendation systems in TensorFlow. Dr. Vijay Srinivas Agneeswaran, Senior Director of Technology at Sapient Razorfish in India will be conducting the workshop. If you’re interested in attending only the workshop, you can purchase a single day ticket for The Fifth Elephant. A huge thank you to everyone who purchased tickets for the Deep Learning bootcamp scheduled on 23–24 July. We’re sold out and are repeating this workshop on 30–31 July, so you can sign up too! The workshop will be over two days. Day 1 will cover the introduction to deep learning and the applications to computer vision. Day 2 will cover the applications to natural language processing. The objective of the workshop is to ensure that the participants have enough theory and practical concepts of building a deep learning solution in the space of computer vision and natural language processing. NASSCOM is conducting a Blockchain Challenge to plug the wide gap between what blockchain developers and startups are working on, and what corporates are looking for. Teams are being shortlisted from a pool of 1500+ registrations and applications are still open for the Banking, Fintech and Blockchain & GDPR compliance and, Real-time certificate verification platform use cases. Applications close on 22 July, so hurry! Bangalore Business Intelligence Mananger Zeotap India Pvt. Ltd.
Gurgaon Python Django Developer Perceptivity Data Solutions Pvt. Ltd.